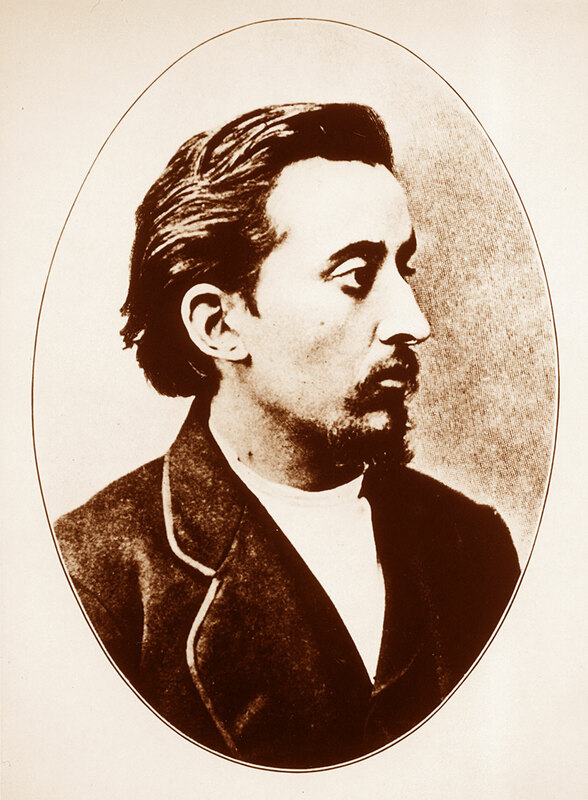 Lafcadio Hearn (Koizumi Yakumo 1850-1904) was born in Greece and brought up in Ireland. Migrating to the United States, where he worked as journalist and translator he eventually reached and settled in Japan. Separated from his parents at an early age he moved around different parts of the world. In his 54 years of life, free from all prejudice, racial or religious, Hearn respectfully comprehended the culture he came across with an open mind. It is within the scope of this international symposium to amplify Lafcadio’s ‘Open Mind’ precisely from such an open, multilateral, approach through the man’s work, correspondence and lecture papers. We propose that the symposium be held in his birthplace in Greece, the island of Lefkada. Phrases in late works of his, such as in ‘The Dream of a Summer Day’ depict, abstractly, his days with Rosa in Lefkada; and his affection for his mother, pouting out in that letter addressed to his brother, James. 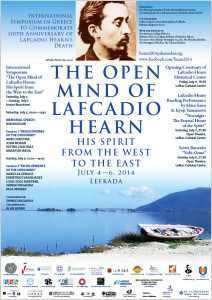 Lefkada has decided to inaugurate the ‘Lafcadio Hearn Historical Center’ at the time of the symposium. We deem this project as an excellent opportunity for Lefkada, his own birth-place, to further enhance its comprehension of the man and his legacy. 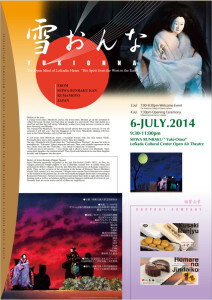 The theme of the symposium, “The Open Mind of Lafcadio Hearn” expresses his life and concept of values. In 2009, the art exhibition expressing Hearn’s sprit through art was held in The American College of Greece in Athens for the first time in the world, whose opening attracted some five hundred people. In 2010, another art exhibition, under the same title yet organized by The City of Matsue, was held inside Matsue Castle, impressed 45,000 visitors. The exhibition has since then been held in New York in 2011, in New Orleans in 2012. Public interest and sensitivity towards Lafkadio is steadily rising and spreading. In view of the above, it is considered rather significant that an international symposium be held, aiming at shedding still more light in Hearn’s open mind, along with further dispersing and promoting interest and attention to Hearn and his work. In his later life, Hearn urged the necessity of ancient Greece. “Those old Greeks, though happy as children and as kindly; were very great philosophers, to whom we go for instruction even at this day. What the world now most feels in need of is the return of that old Greek spirit of happiness and of kindness.” (Insects and Greek Poetry) Thus, it is deemed appropriate to hold the symposium in Lefkada, the place of his birth and the place where the cultural events were initiated. 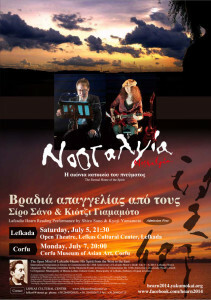 Should, as decided, the symposium take place in Lefkada, Hellenic and Japanese bonding shall be further reinvented, and reinforced, tending to Lafcadio’s quest and wish for living and thinking in an open-minded world.